Julia is a Paralegal in her final year of her law degree and will be admitted as a solicitor at the beginning of 2020. 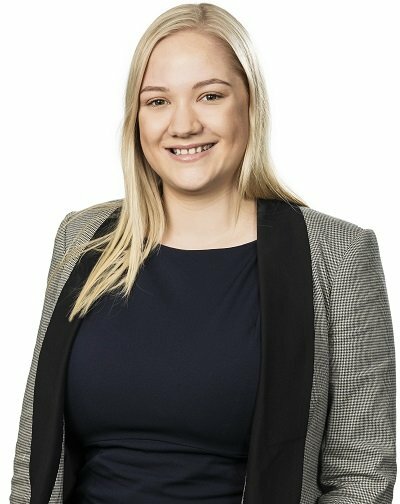 Julia has 5 years’ experience in family law, having worked full-time in a number of Sydney law firms since 2014 whilst completing her law degree. Julia was the recipient of a “First Year High Achievers” Award for placing in the top 80 students out of 700 in her first year. She has been invited to join the Golden Key Honour Society for being in the top 15% of students in her cohort. Julia’s role at Edwards Family lawyers is to assist the lawyers particularly in complex matters including drafting the balance sheet, schedules of effect of various outcomes and drafting correspondence and court documents. Julia has demonstrated excellence in investigating and identifying gaps in financial disclosure material due to her attention to detail. Julia has an in-depth knowledge of the Family Law jurisdiction and the court processes from both a legal and administrative perspective. Julia has a breadth of experience ranging from litigating parenting matters including urgent applications for the recovery of children (which were successful), matters involving international relocation and high conflict matters to complex property matters involving intricate corporate structures, valuation and joinder issues. Julia also has significant experience assisting in mediations and negotiations in order to settle matters without Court intervention. Julia’s ability to grasp complex issues means that she is able to assess her cases and assist the lawyers to bring about a cost-effective resolution to our client’s matters. Julia has compassion and an understanding of the difficulties faced by Family Law clients who are going through a separation and is dedicated to making the process as streamlined as possible and to achieve the best outcomes for our clients.